Glutamine synthetase (GS), an essential enzyme in ammonia assimilation and glutamine biosynthesis, has three distinctive types: GSI, GSII and GSIII. Genes for GSI have been found only in bacteria (eubacteria) and archaea (archaebacteria), while GSII genes only occur in eukaryotes and a few soil-dwelling bacteria. GSIII genes have been found in only a few bacterial species. Recently, it has been suggested that several lateral gene transfers of archaeal GSI genes to bacteria may have occurred. 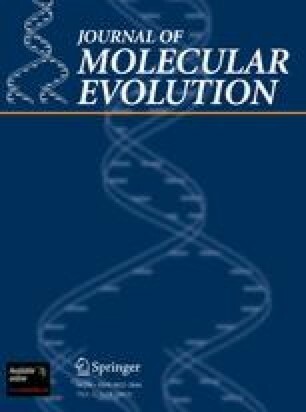 In order to study the evolution of GS, we cloned and sequenced GSI genes from two divergent archaeal species: the extreme thermophile Pyrococcus furiosus and the extreme halophile Haloferax volcanii. Our phylogenetic analysis, which included most available GS sequences, revealed two significant prokaryotic GSI subdivisions: GSI-a and GSI-β. GSIa-genes are found in the thermophilic bacterium, Thermotoga maritima, the low G+C Gram-positive bacteria, and the Euryarchaeota (includes methanogens, halophiles, and some thermophiles). GSI-β-type genes occur in all other bacteria. GSI-α- and GSI-β-type genes also differ with respect to a specific 25-amino-acid insertion and adenylylation control of GS enzyme activity, both absent in the former but present in the latter. Cyanobacterial genes lack adenylylation regulation of GS and may have secondarily lost it. The GSI gene of Sulfolobus solfataricus, a member of the Crenarchaeota (extreme thermophiles), is exceptional and could not be definitely placed in either subdivision. The S. solfataricus GSI gene has a shorter GSI-β-type insertion, but like GSI-a-type genes, lacks conserved sequences about the adenylylation site. We suspect that the similarity of GSI-α genes from Euryarchaeota and several bacterial species does not reflect a common phylogeny but rather lateral transmission between archaea and bacteria.